WALK ON GAMES EVERY SUNDAY! AMMO THAT WILL ROCK THEIR WORLD! We have what the pros and newbs need! VISIT OUR FORT SMALLWOOD RD. STORE! 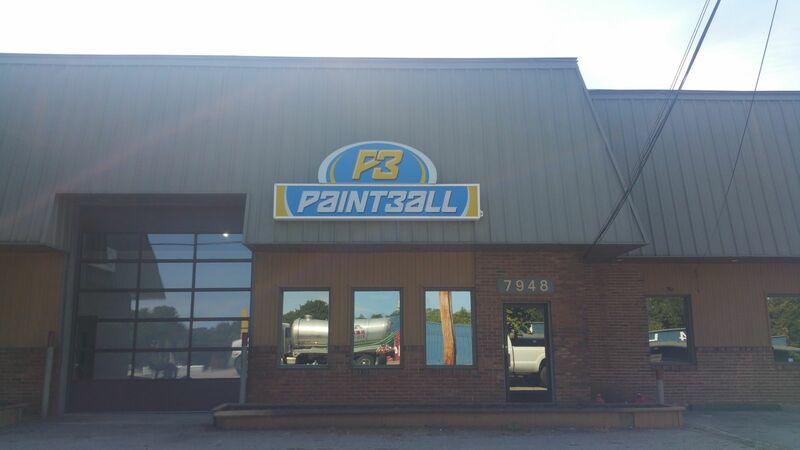 P3 devotes over 3,000 square feet to the finest paintball products around, carrying a variety of brands—including Empire, JT, G.I. Sports, Tippmann, Planet Eclipes, Virtue and Dye—in order to offer you the best in play. Our professional and educated staff enjoy sharing their vast knowledge in paintball tips and tricks, and can assist you in finding the products you need at competitive pricing. We are excited to announce our state of the art V.I.S.E. (Virtual Interactive Shooting Experience) Arena with our hands on approach to the first person shooter experience like no other!!! We service store-purchased guns, and offer maintenance services for guns purchased elsewhere. We rent equipment at the field only. Rental Setup: $15 Includes everything you need to play except paintballs!